While in law school, Ellen Aprill was articles editor of the Georgetown Law Journal. Following graduation, she served as law clerk to the Honorable John Butzner of the United States Court of Appeals for the Fourth Circuit, and to the Honorable Byron R. White, associate justice, United States Supreme Court. She then practiced for several years with the law firm of Munger, Tolles & Olson in Los Angeles. Before joining the Loyola faculty, Aprill served for two years in the Office of Tax Policy in the United States Department of the Treasury in Washington, DC. 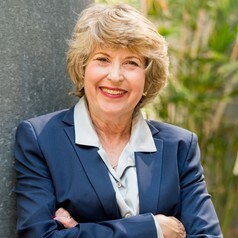 She has been a member of the Loyola Law School faculty since 1989.